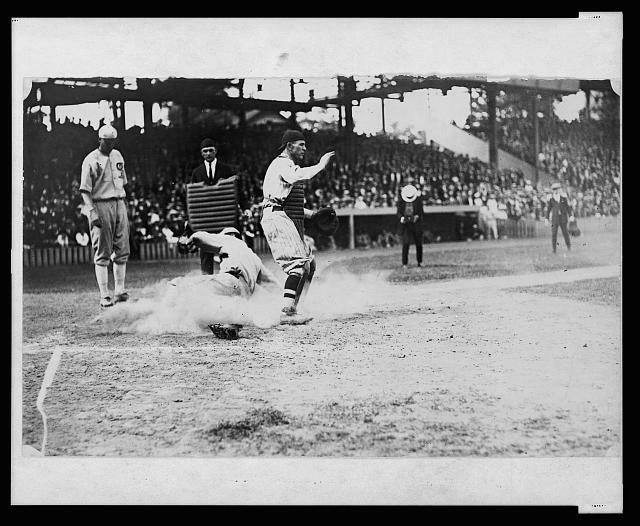 Tonight we tackle “What a Game.” In an earlier post, I uploaded a YouTube clip featuring narration of the 1905 world series game 2 between the New York Giants (later the San Francisco Giants) and the Philadelphia Athletics (an American League Philadelphia team from 1901-1954). I also posted a picture of an early 1900s Harvard team, perhaps similar to the one that Father imagines when he plans to take Edgar to the Polo grounds. 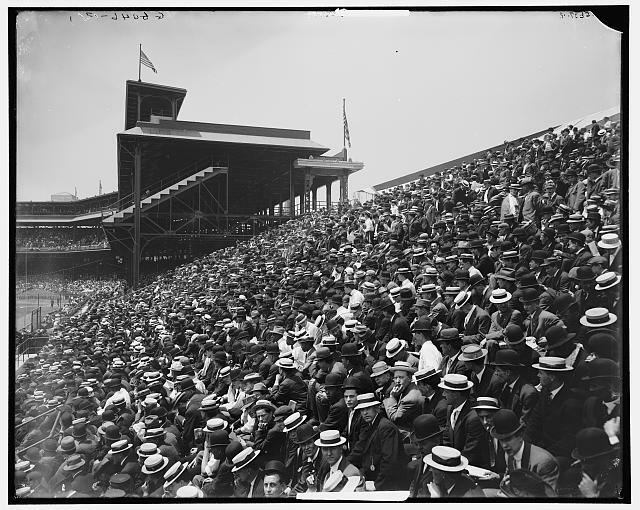 Now, I thought I’d share some images of fans and players of these baseball games. 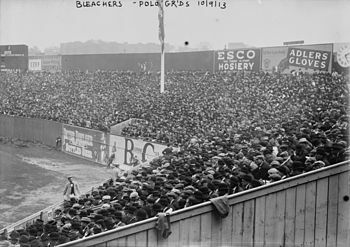 There aren’t any from 1906 exactly, but many from 1909, 1911, 1913 that are close enough to give you a sense of the crowd scale and atmosphere at these early ball fields. In the song, they reference someone named “Schnabel,” who needs to take his head out of his … I’m figuring this is the umpire. So here are a couple of images of umpires from the period. American League umpire Big Bill Dinneen, 1910. 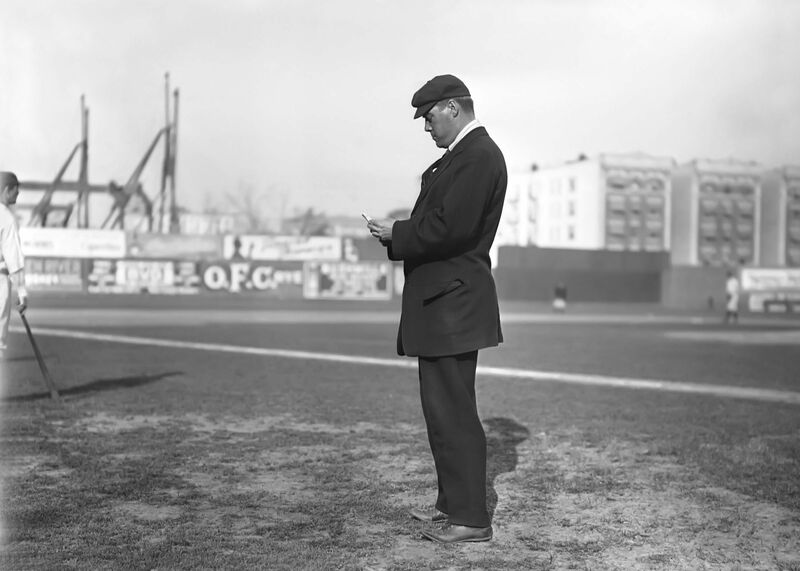 1910 umpire w/pads, making a call at home plate. 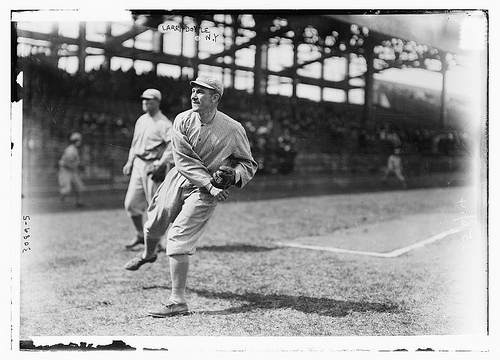 New York Giants pitcher Larry Doyle 1909. 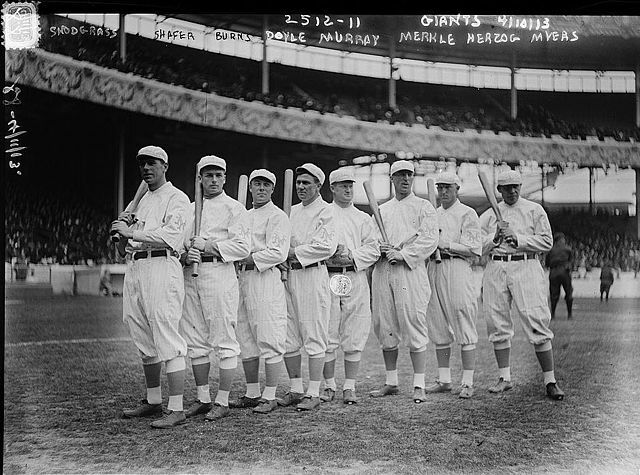 The 1911 New York Giants at opening day. 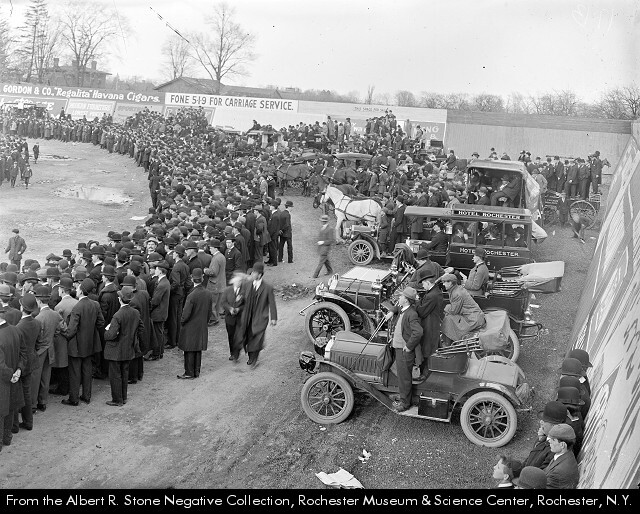 Crowd around the edges of the polo grounds in Rochester, 1909. 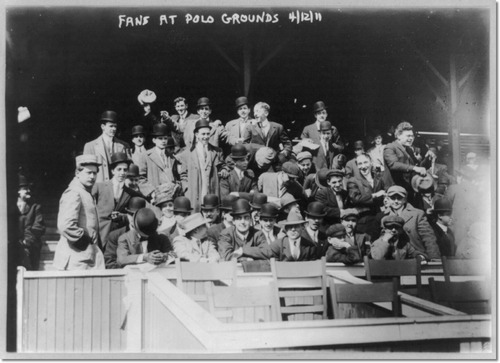 Fans at the polo grounds, 1911.